In Grade 4, students are presenting their travel plan in Mandarin class! 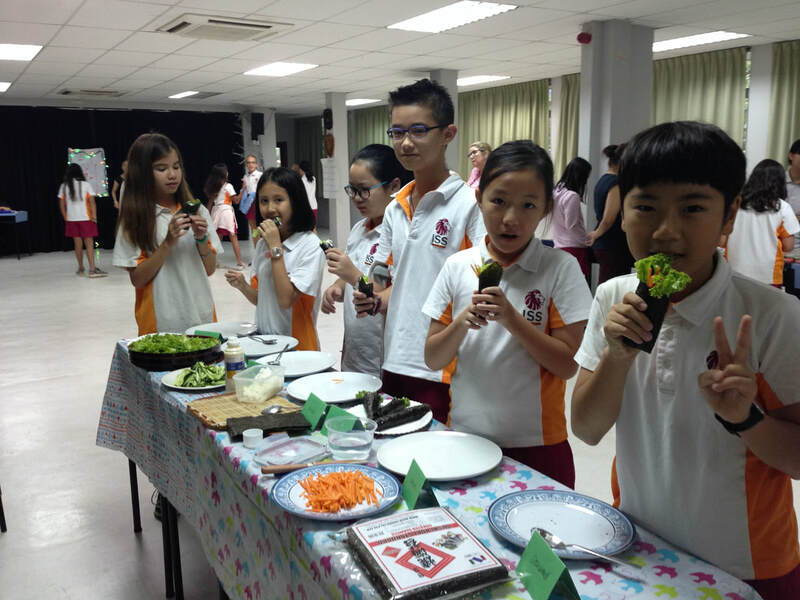 In Grade 5 transition day, students learned new vocabulary related to food when making sushi during Language acquisition periods. 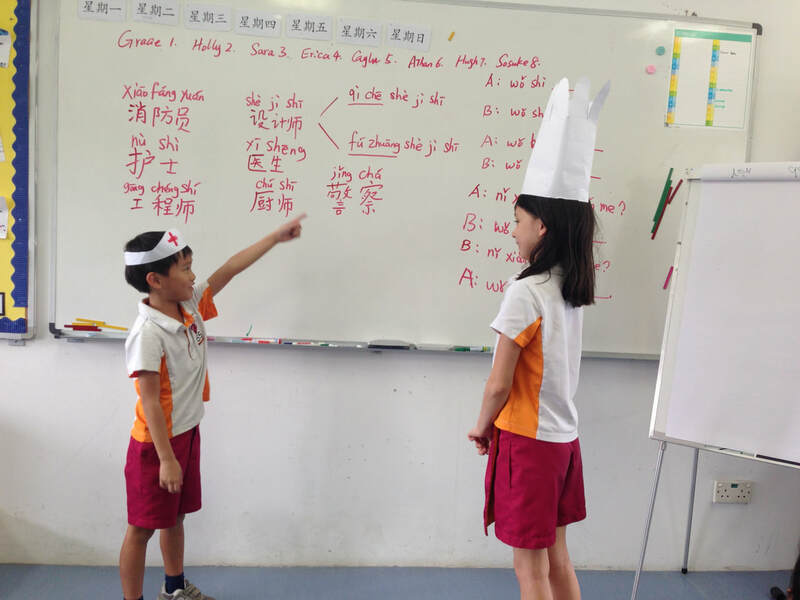 Grade 1 students made job hats and did role-play of occupation in Mandarin class. In Grade 4, students are learning personal beliefs connected to their current unit "How we express ourselves". 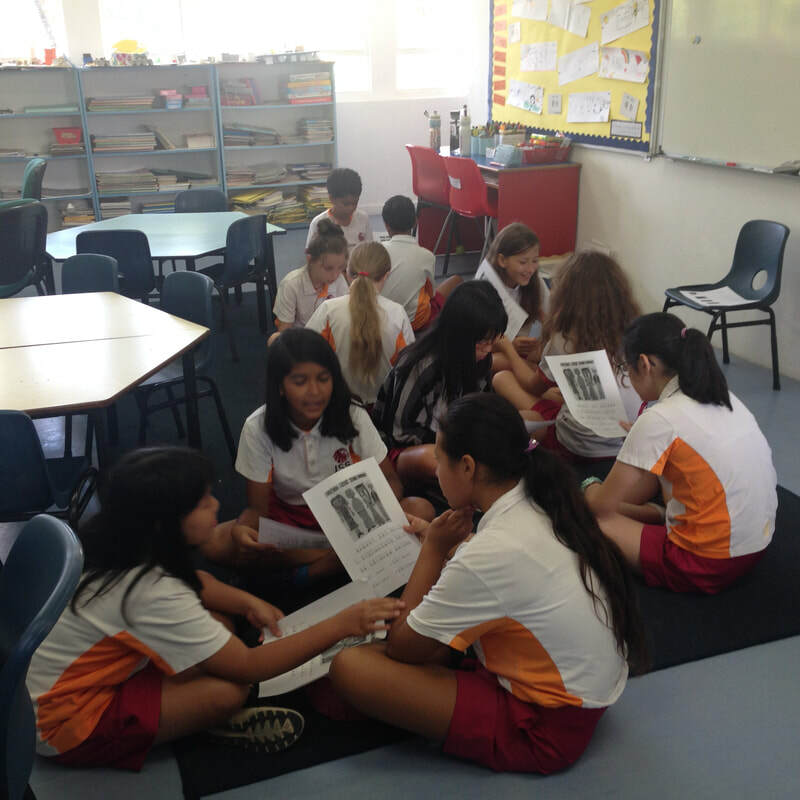 They worked in groups to read a passage about Singapore nationalities and religious. 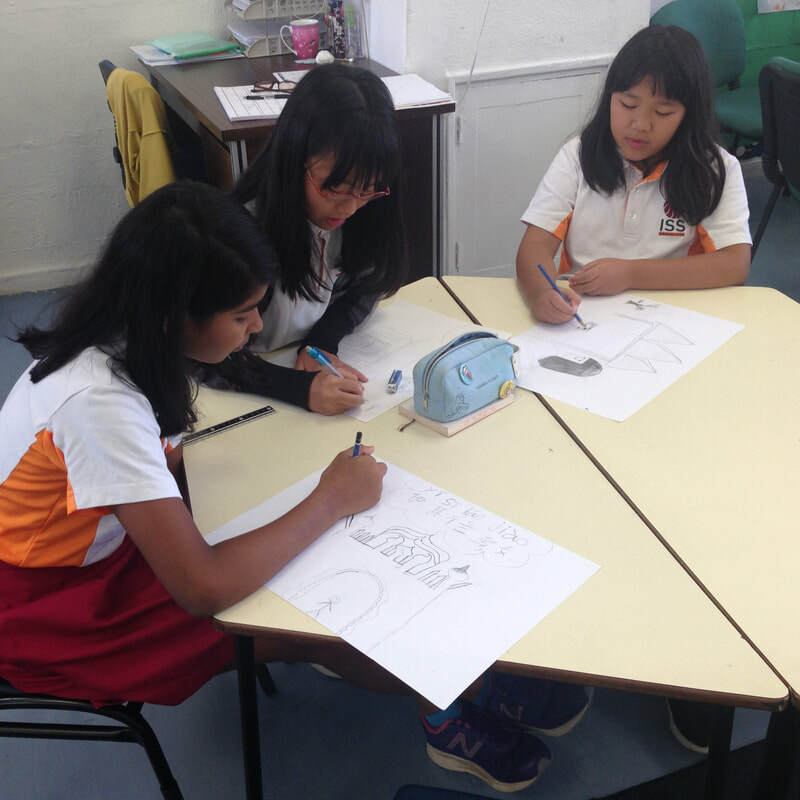 They also drew their personal belief and shared with the class in Mandarin. In Grade 1, students are learning jobs. They are categorising different job cards after learning all the vocabulary about jobs. 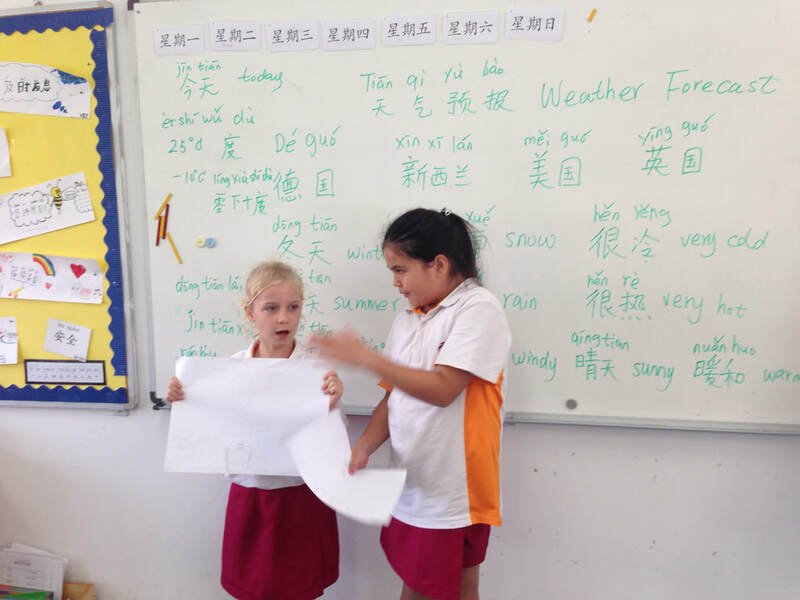 In grade 3, students worked in pairs making a weather forecast poster and presented it to the class. 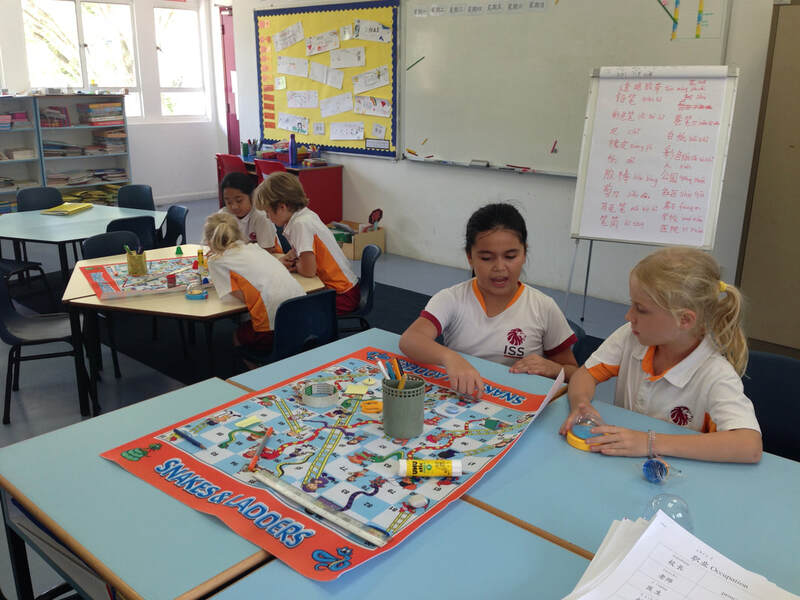 In Grade 4, students are reviewing vocabulary about seasons and weather through playing games. In Grade 1, students are learning different types of trains from the past years until now. They also drew a train and labeled in Mandarin. Students are sharing their learning with their parents during SLC! In Grade 3, students did an activity connected to their current unit of inquiry. They worked in groups to build up a 3D community with different levels of resources (utensils). After completing this task, they did a reflection on "How I feel doing the task with my level of resources" and "Impact of shortages of resources on people's lives." From this activity, students learnt how to speak utensils in Mandarin and how to reflect their work in simple sentences in Mandarin, they also have a deep understanding of shortages of resources do impact on people's lives which motivates them taking actions to save resources and share resources in classroom. In Grade 5, students are making word search to review vocabulary about seasons and weather. G3 students are reviewing utensils through playing game! G4 students are making their holiday activity map to unpack our new unit Connections. 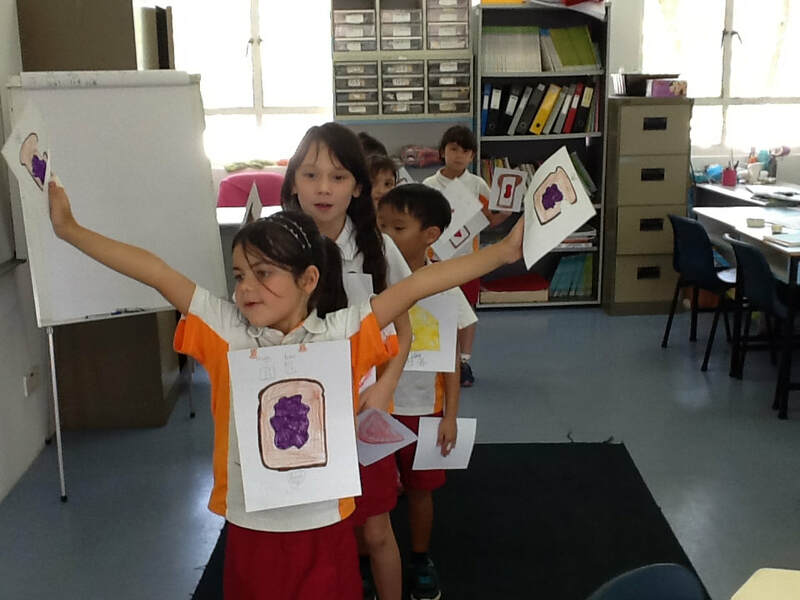 G1 students have learned vocabulary related to the topics of food and drinks, they are performing how to make a sandwich and speak in Mandarin. 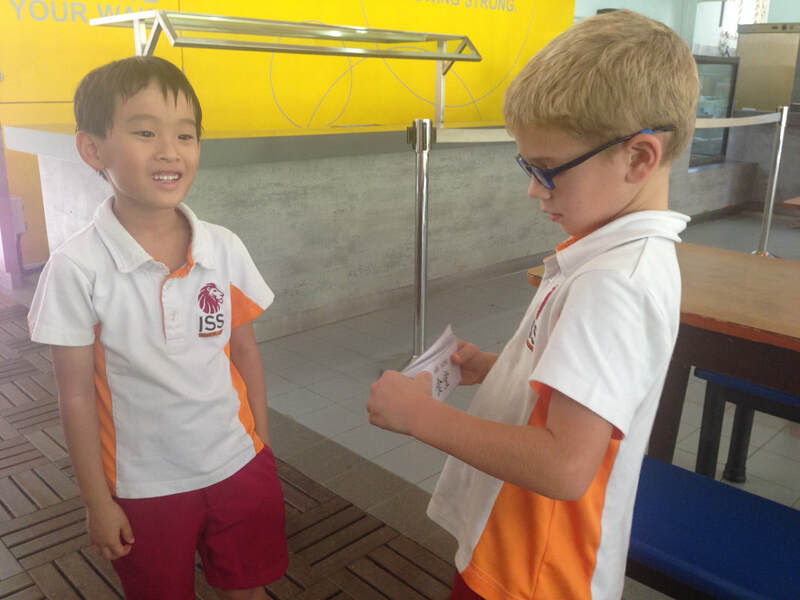 G3 students are doing role-play of ordering food in Mandarin class! In Grade 1, students have learned topics of foods and vegetables, they have inquired new vocabulary related to the topics when drawing a healthy food place. 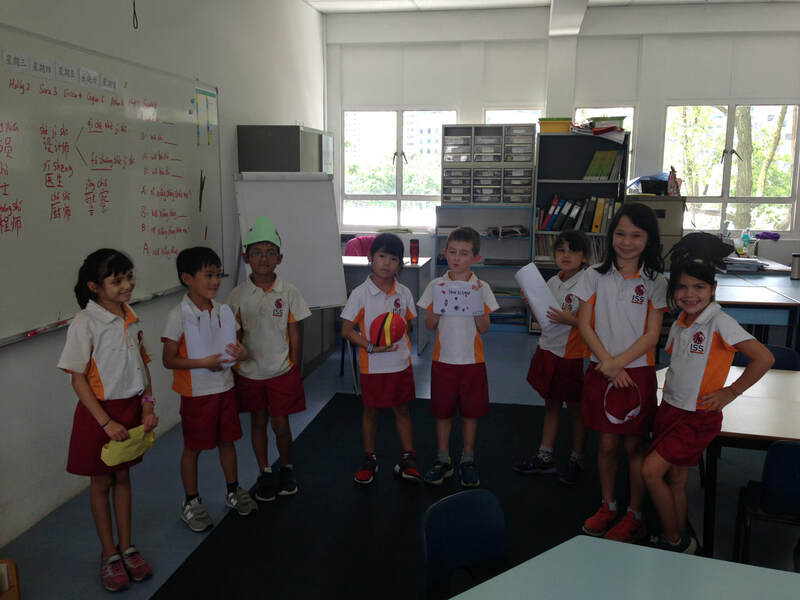 Students shared their work in simple Mandarin sentences. 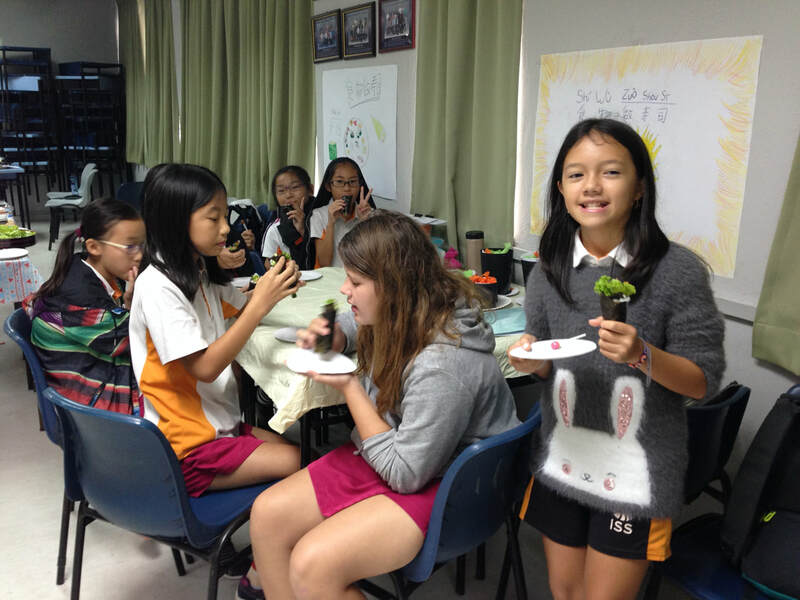 In Grade 4, students have learned vocabulary about the topics of foods and drinks, they are making food menu in pairs using research skills in Mandarin class. 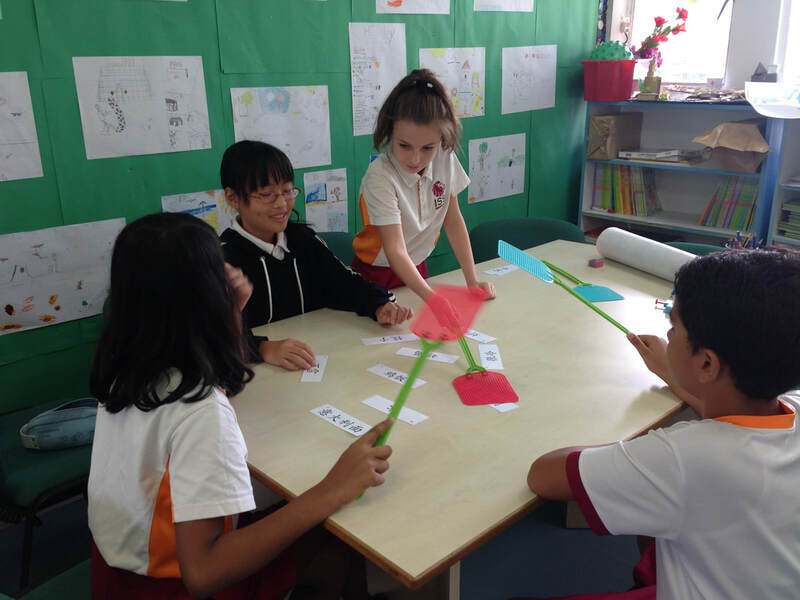 In Grade 5, students have learned vocabulary related to culture topic, they are reviewing all words through playing a variety of fun games. In Grade 1, students are learning Chinese "Wen Fang Si Bao" (Four treasures of study which is brush, ink, paper and ink stone) and writing Chinese calligraphy. This year is the year of dog in Lunar Chinese New Year, our Grade 3 students are making a handcraft of dog in Mandarin class. They have experienced Chinese culture through a variety of activities, they also did research to figure out the features of Chinese culture and has learned how to use google translate to learn new words. In Grade 4, students made paper craft to experience Chinese culture, they also did research about Chinese culture, the areas including food, clothes, festivals and music. They have understood Chinese culture more deeply after doing the research. 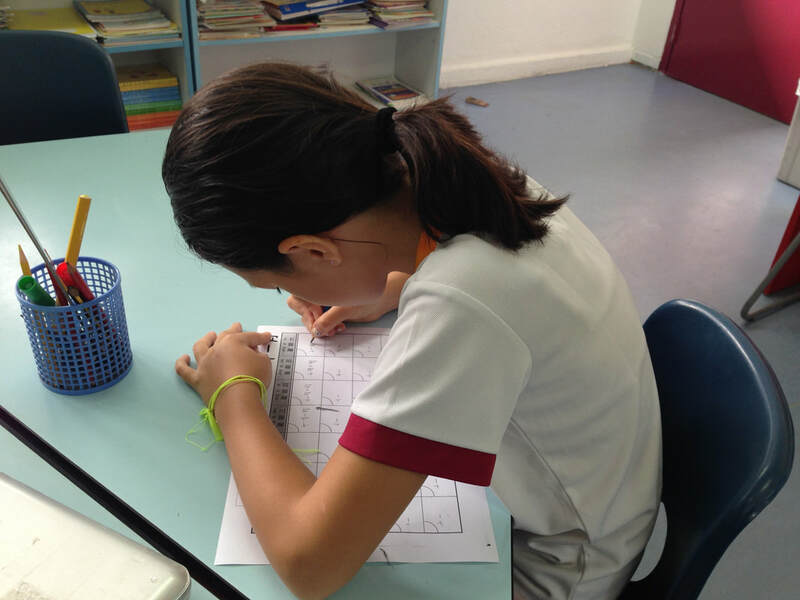 In Grade 5, students are learning Chinese calligraphy. They also made firecrackers to welcome Lunar Chinese New Year. 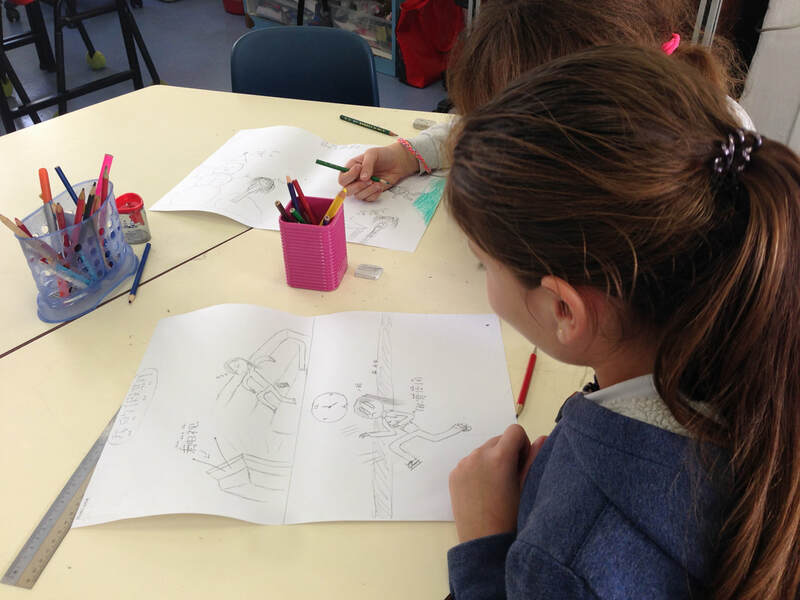 In Grade 3, students are doing Chinese calligraphy and painting plum blossom which connect to their current unit "How we express ourselves". G4 students have learned vocabulary about digestive system which connected to G4 Exhibition Body System, they also reviewed the words through Quizlet.live. 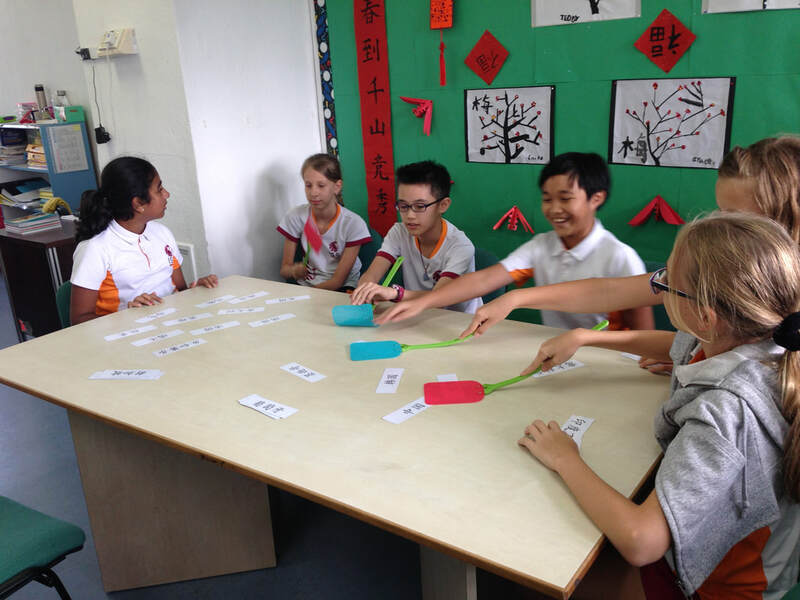 In Grade 5, students have learned vocabulary related to Culture unit, they are reviewing new words using flashcards and work in pairs to create stories in Mandarin. G4 students made a poster of holiday activities and shared with their peers ! In Grade 1, students have learned the vocabulary about school community, they are doing summative task in Mandarin class, each student made a booklet of school and will present in Mandarin. In Grade 3, students have learned about school community topics, they made a poster of school and labeled the school places in Chinese characters! 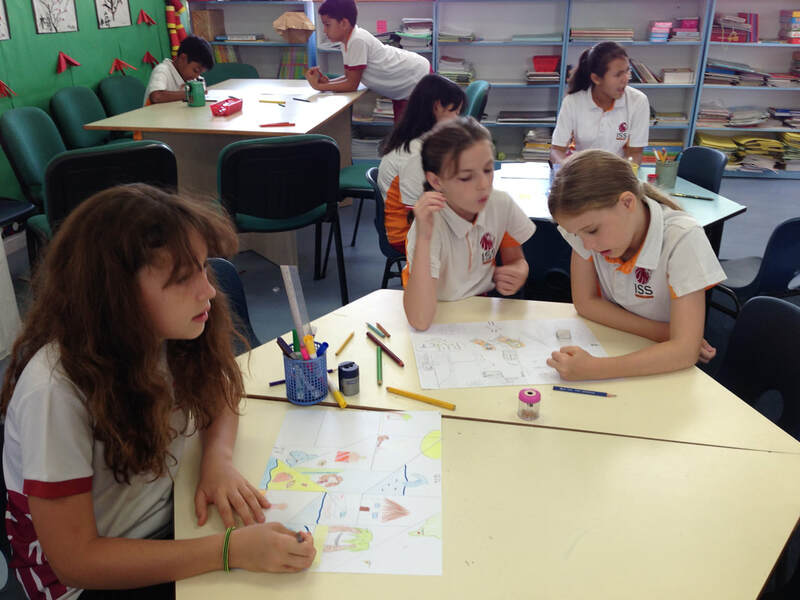 In Grade 4 and G5 Mandarin classes, students have learned the topics of community, they worked in groups to make a 2D/3D community model. They understand the central idea and key concepts of the unit Communities through doing this summative task. In Grade 5, students have learned about the topics of Communities. 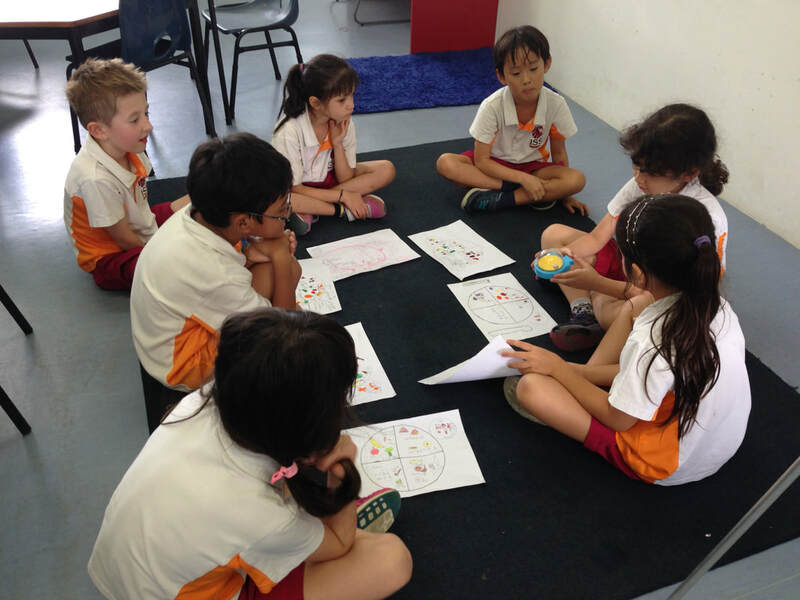 They compared the similarities and differences between Singapore community and their home country community through a Venn Diagram and shared ideas with the class. 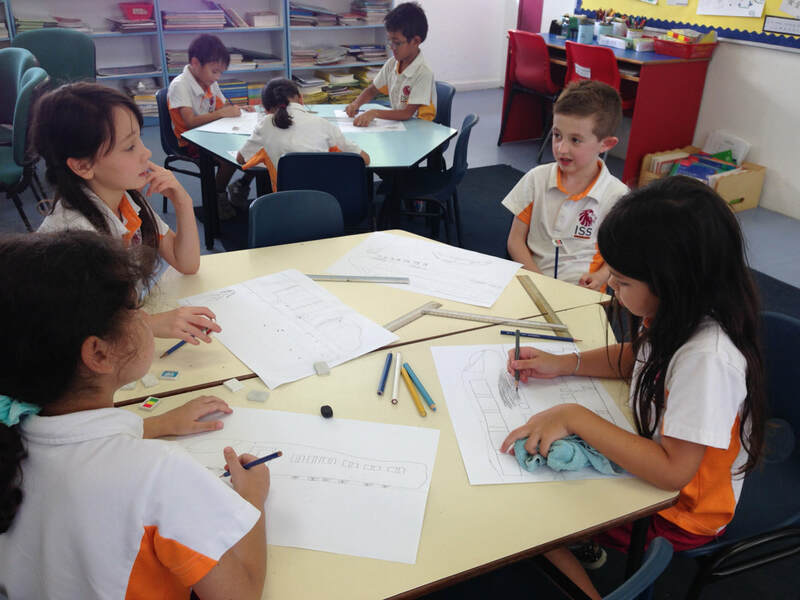 They also begun to create a 2D or a 3D community for the summative task. 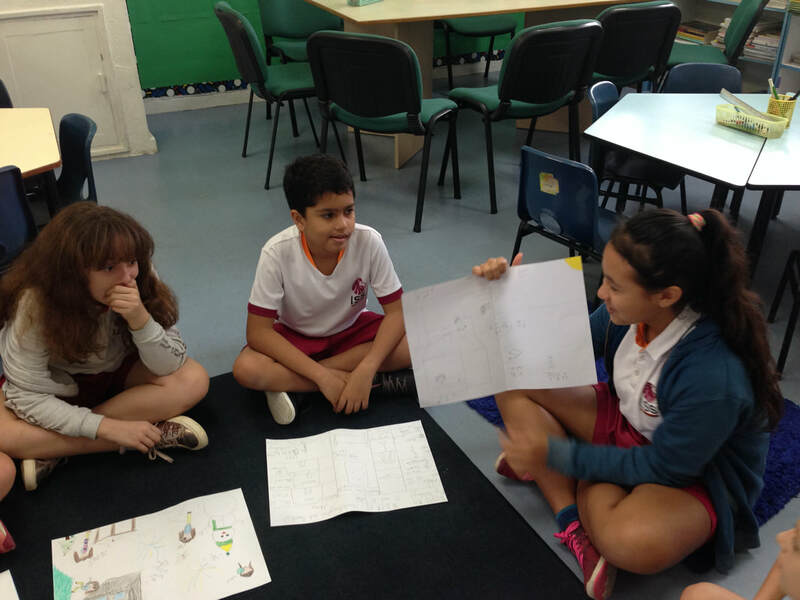 G4 students have learned vocabulary on the topics of Communities, they work in pairs to make a dialogue about asking the way in a community and shared their work with their peers! 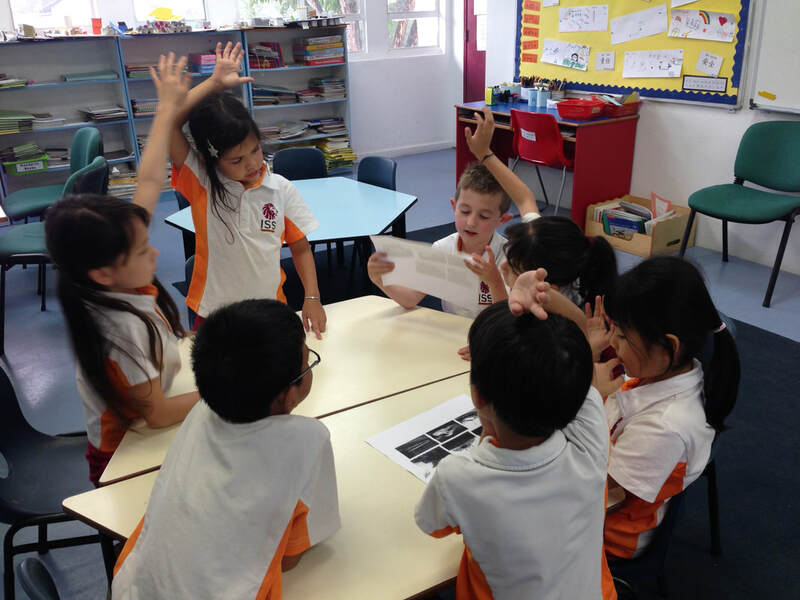 In Grade 1, students have learned the topics about School, they did a school tour to learn school places name in Mandarin! 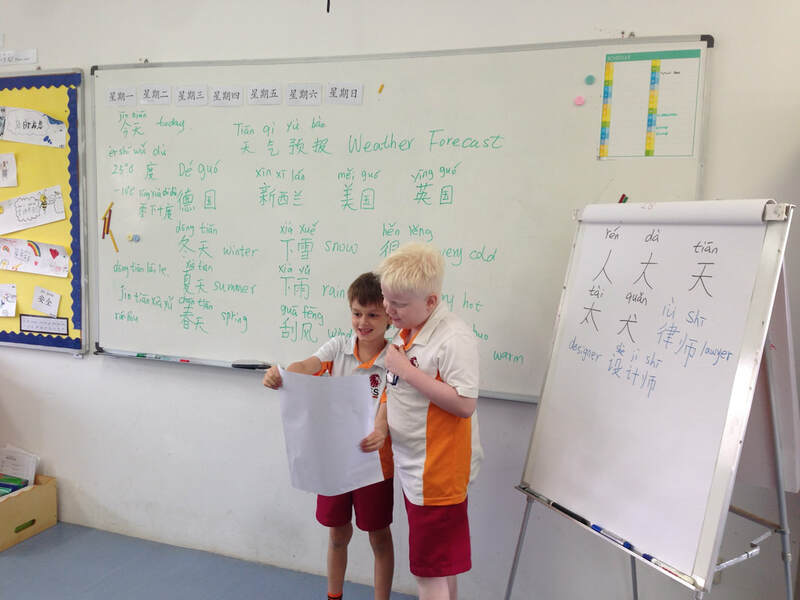 G5 students have learned dates in Mandarin class, they made a calendar in Mandarin. 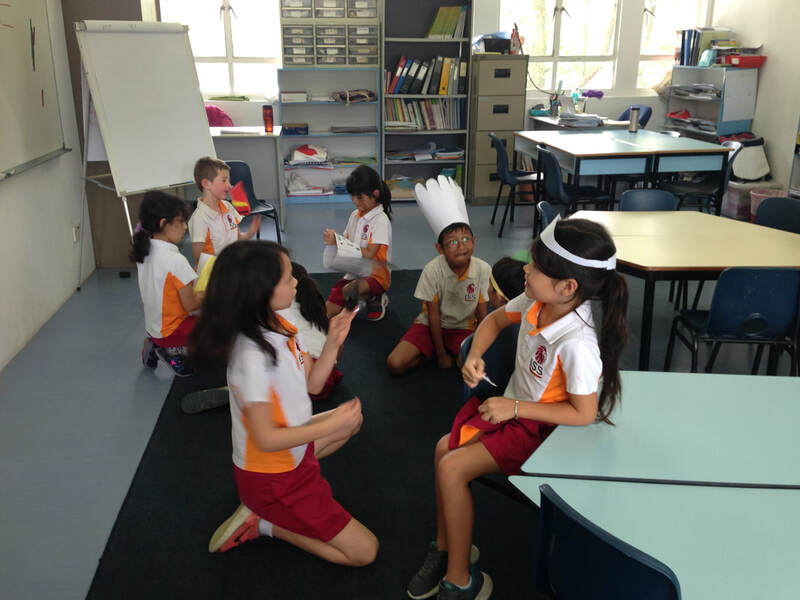 ​G4 students are playing Chinese whisper to review Mandarin words. 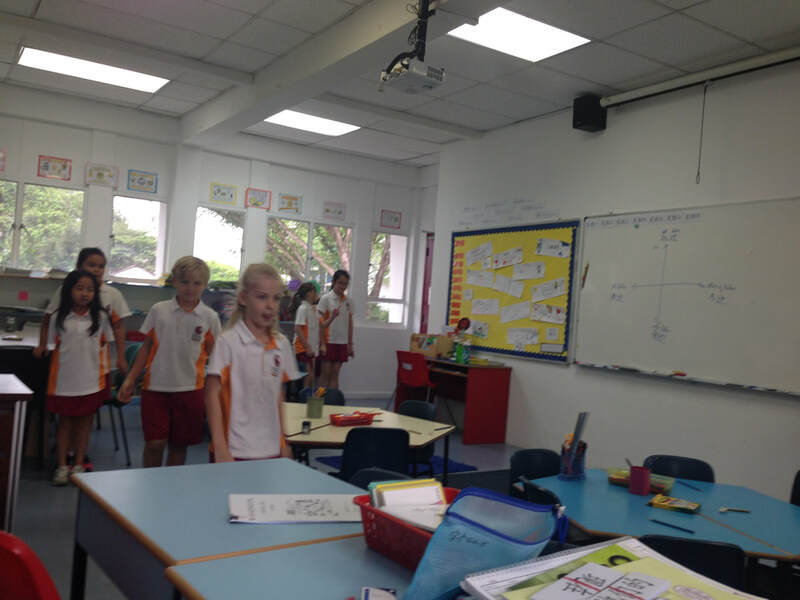 G3 students learned compass in Mandarin class which connected to their current unit "invention", students have learned direction words in Mandarin and they followed the compass to move in order to memorise the direction words in Mandarin. 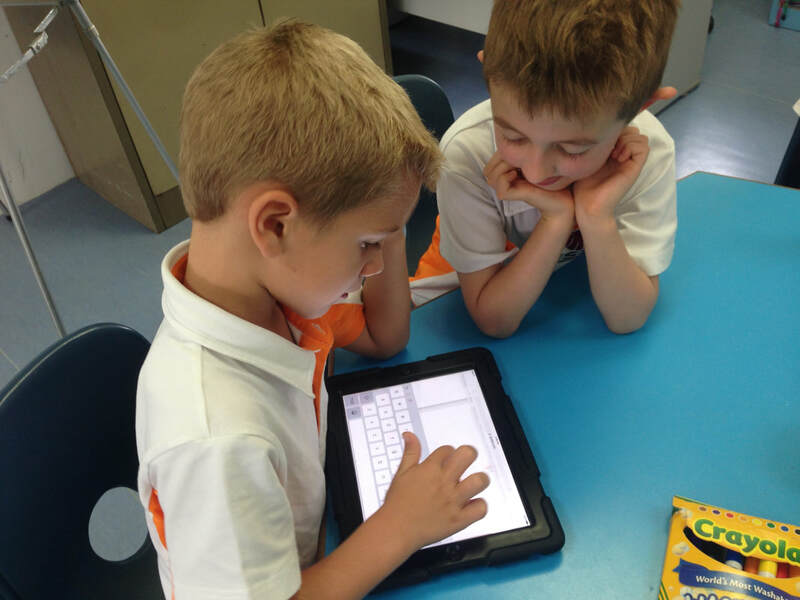 Grade 1 students have learned school activities in Mandarin and they worked in pair to review the words through quizlet. In Grade 4, students have learned neighbourhood community, they made a 2D community poster and presented it in Mandarin to the class! 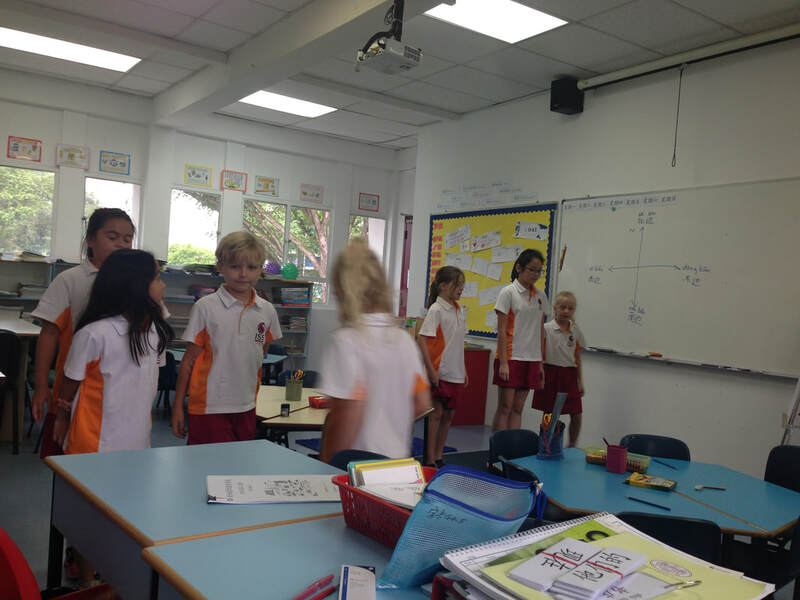 In G3 Mandarin class, students have learned transportation and how to travel to school, they are practising recognising characters related to the topic through rearranging the sentences. 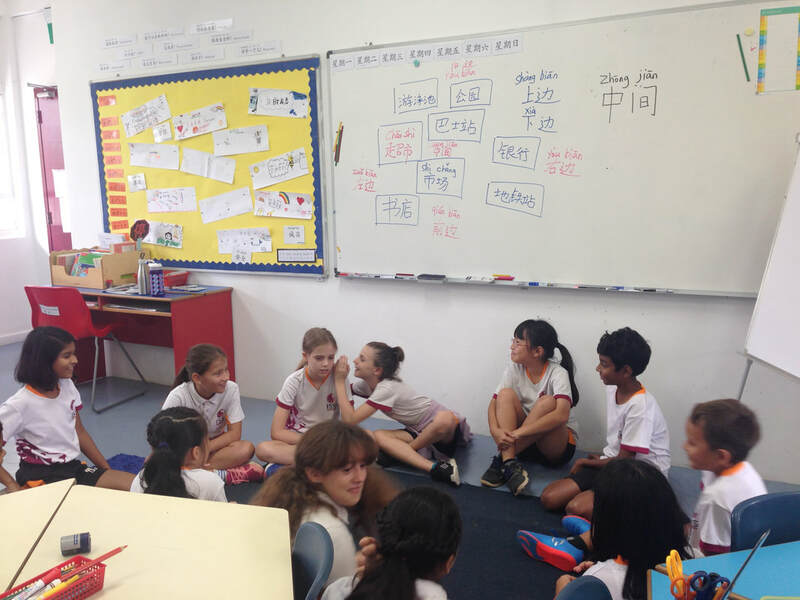 G4 students brainstormed our new unit "Community" in Mandarin class! 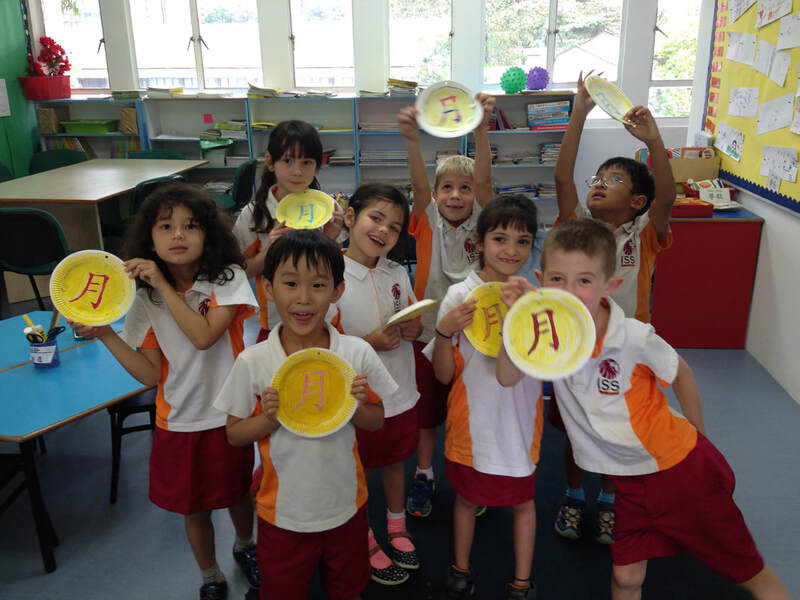 G1 students made a plate moon in Mandarin class! 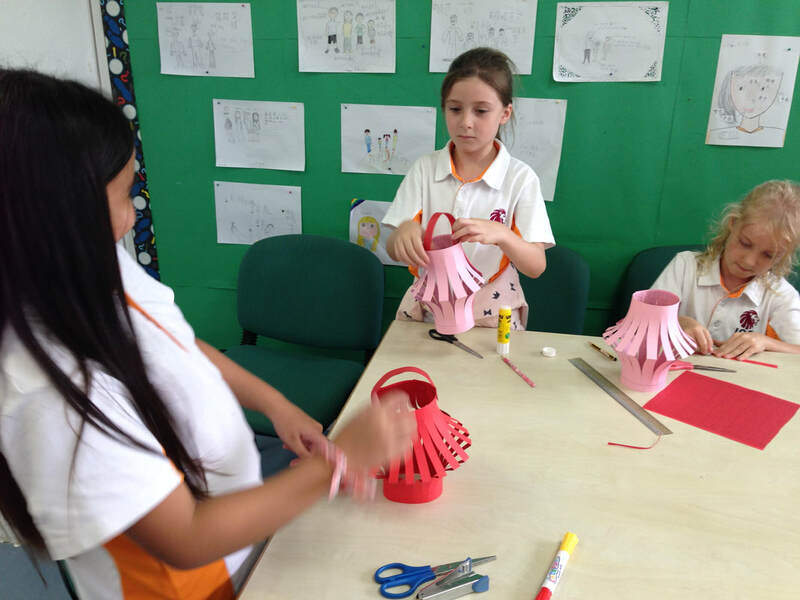 G3 students made Mid-Autumn Festival lantern in Mandarin class! G4 students are presenting their family books in Mandarin class! 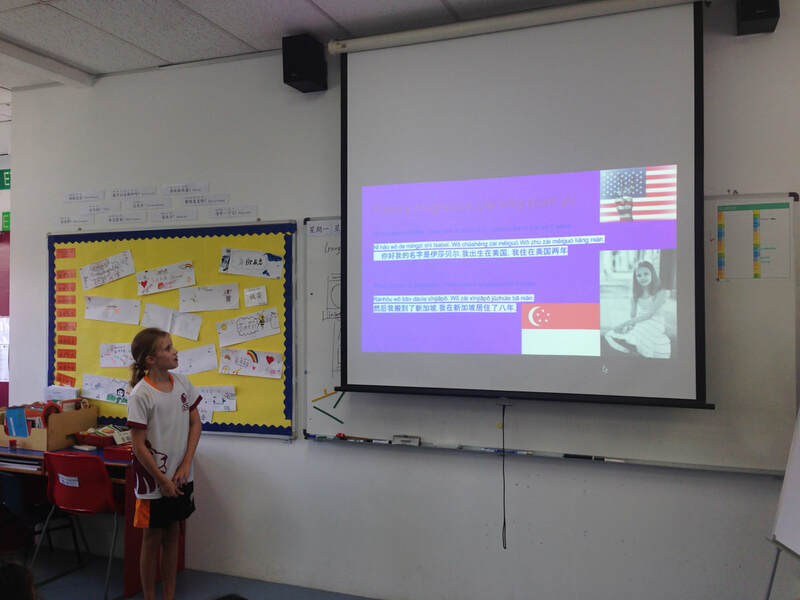 G5 students are presenting their "Family Migration" in Mandarin class! Grade 3 students are presenting their family books in Mandarin class! 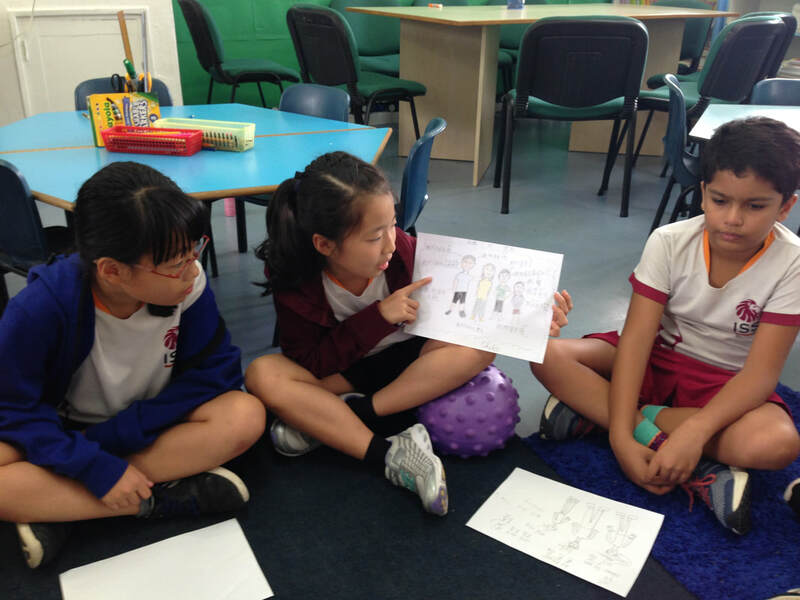 In Grade4, students learned vocabulary of families and adjectives, they understand how to use adjectives to describe family members, they are applying what they have learnt to make a family book in Mandarin class! 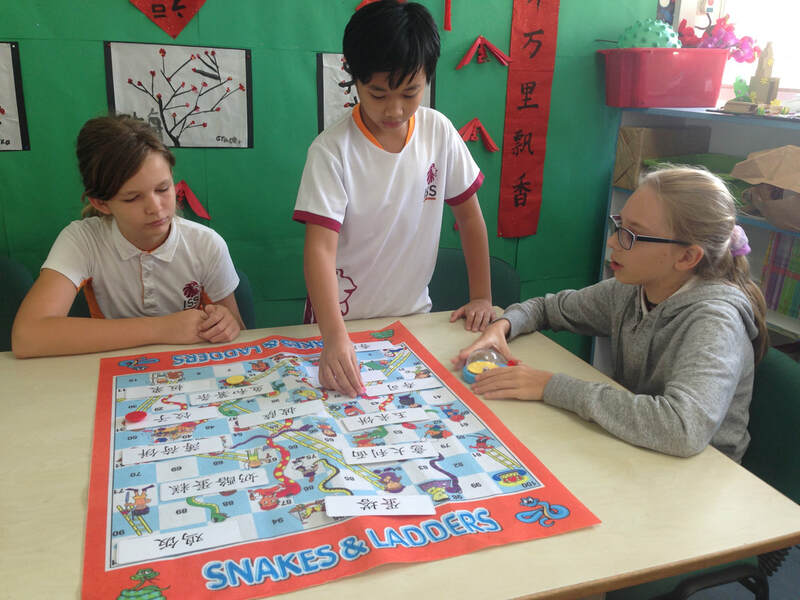 G1 students are playing game to learn family members and colours in Chinese! 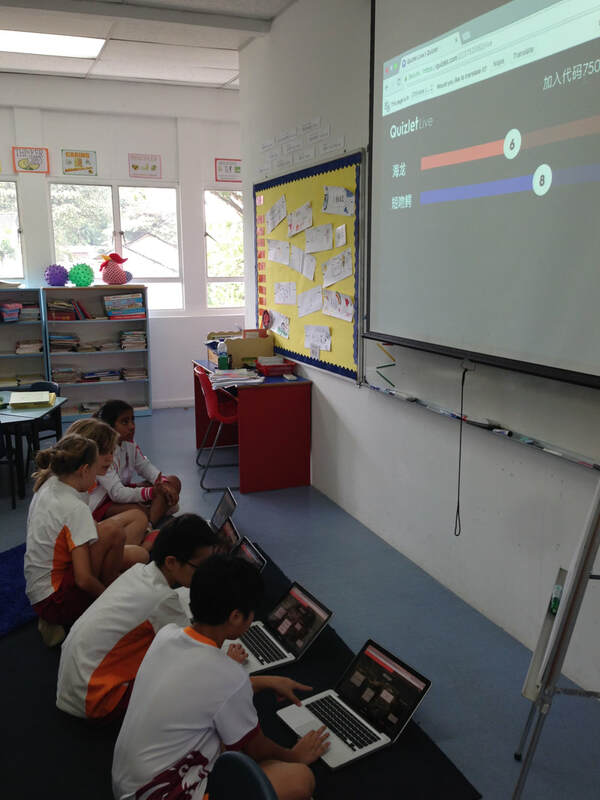 G5 students enjoys learning Mandarin though quizlet.live! 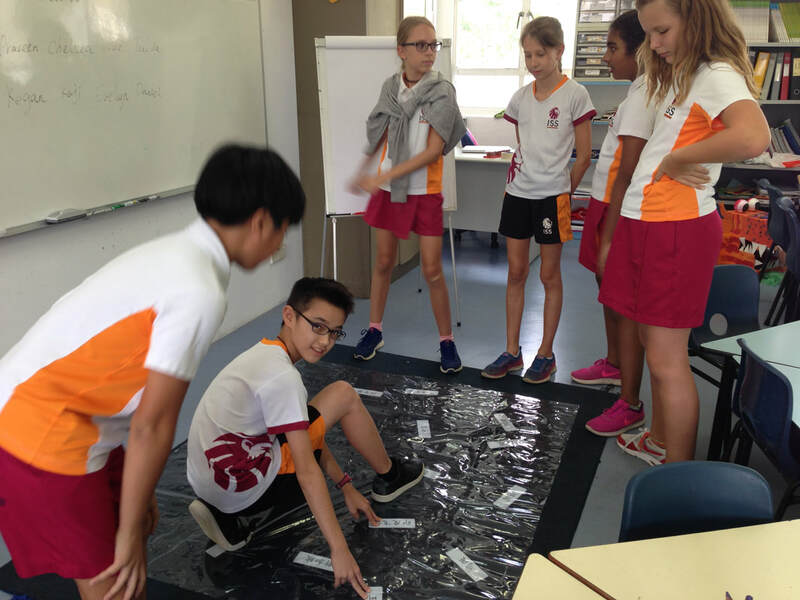 G5 students explored their current unit "Migration" in Mandarin lessons, they have learned vocabularies related to the migration in Singapore, and they also did research to draw a migration map of their own family! 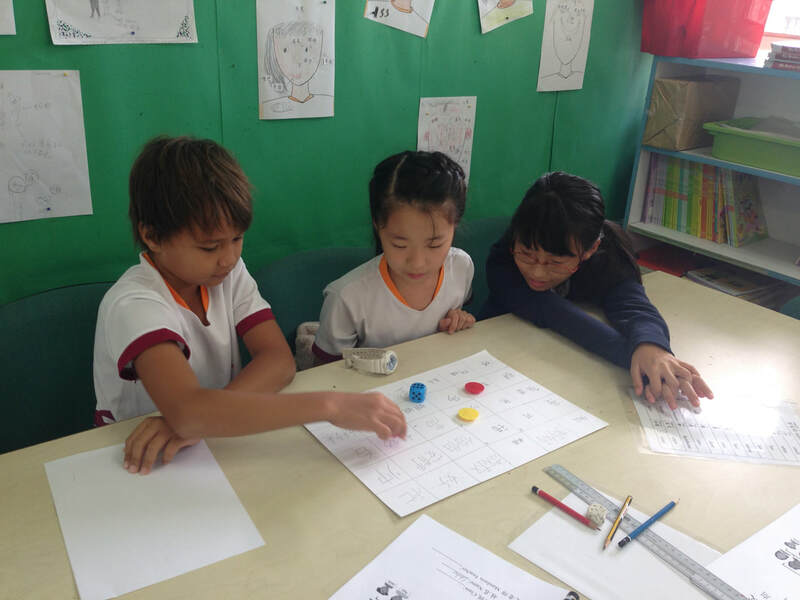 G1 students learned numbers and colours in Mandarin, they also created bingo game to practice what they have learned in class! G4 students shared their family members and made bingo game in Mandarin class! G1 students learns how to use quizlet to learn Mandarin in class ! 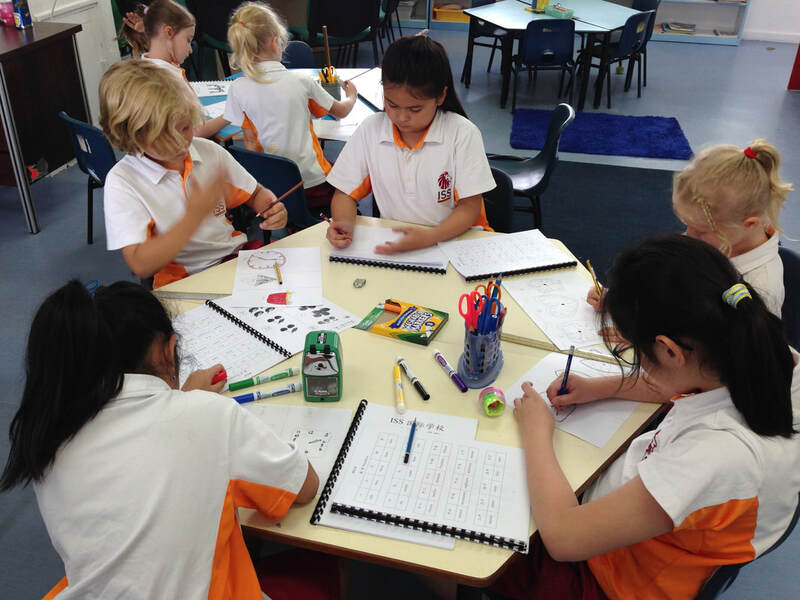 G3 students has learned how to express time in Mandarin and they are drawing clock in Mandarin class! 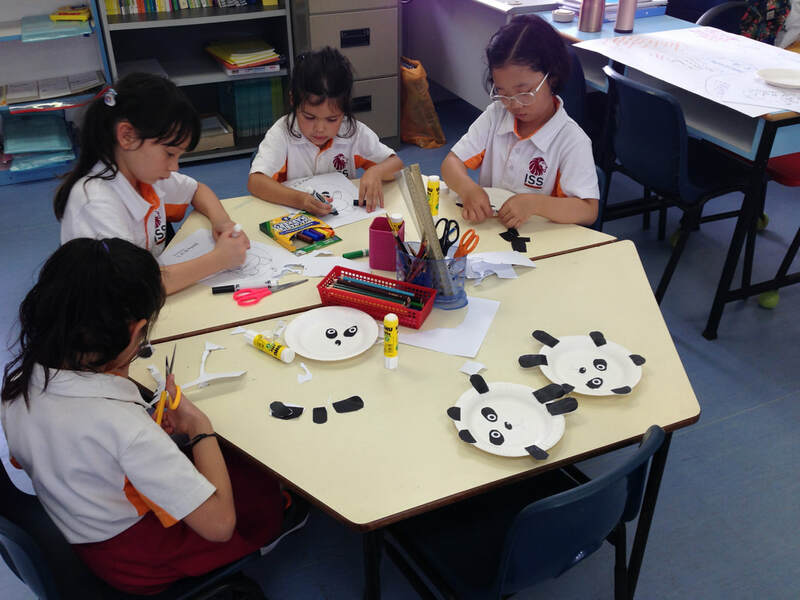 G1 students are learning facial parts in Mandarin and they are making a Panda plate in Mandarin class! 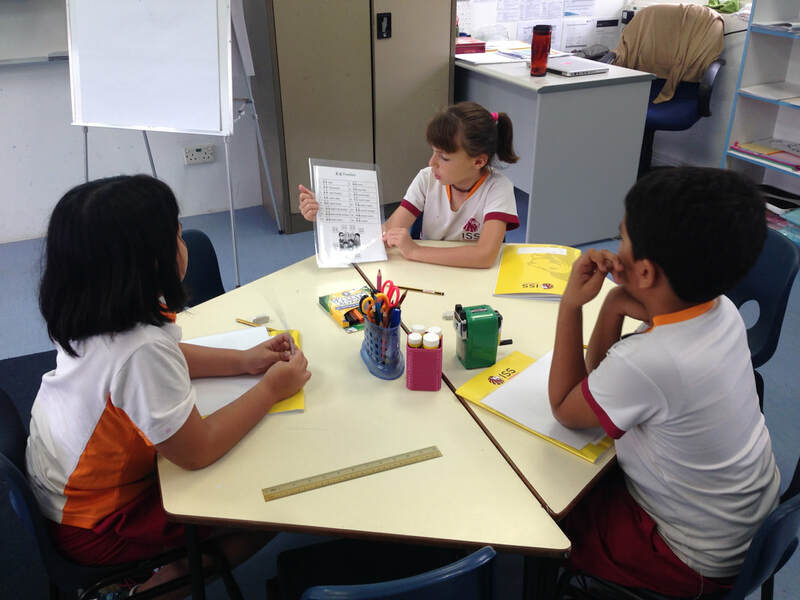 G4 students are learning Family Members in Mandarin class! 2018-2018 term1 week1 G3-G5 students are learning IB Learner Profile in Mandarin!